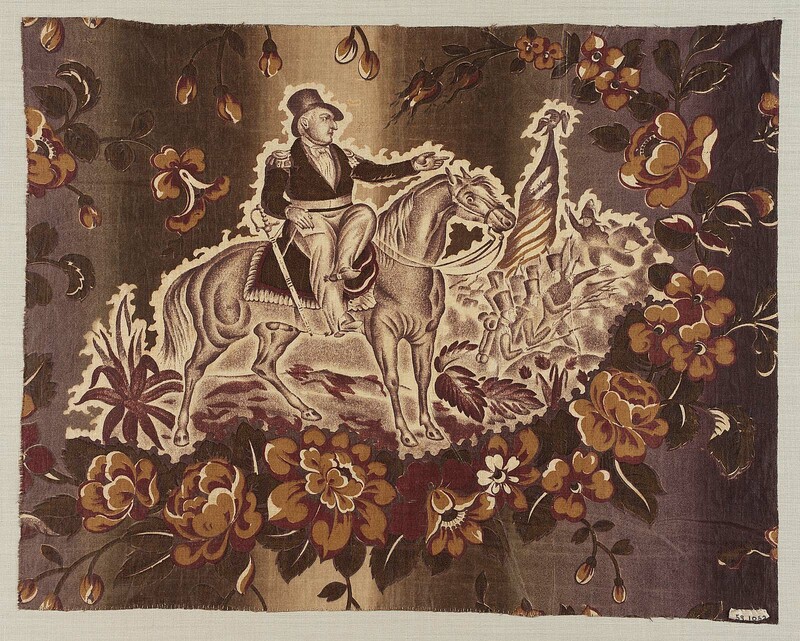 Rectangular piece, “General Taylor at the Battle of Palo Alto, May 8, 1846.” Roller and block print in shades of neutral purple, olive, gold and red. General seated, side-saddle, on horse at center pointing to battle scene sketchily indicated in distance. Scene framed by branches of flowers on olive and purple ground. Selvedge at right.